California is one of the best states for bicyclists. The warm climate coupled with condensed urban environments and a significant investment in bike transportation infrastructure by municipal governments makes biking a very attractive mode of transportation for California residents. In fact, California consistently ranks as one of the top ten most bike-friendly states in the US. Nevertheless, accidents still occur. 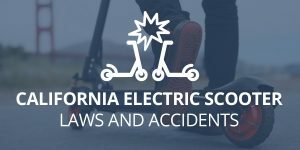 Even with ongoing improvements to intersections, bike lanes, and bike paths, California continues to lead the nation in bike accident fatalities. Injuries resulting from bike accidents are often severe and life altering, if not fatal. In the event a bike accident resulted in injury, a local bike accident attorney can help you understand your legal options and pursue a claim for compensation. Car door accidents: Car door accidents occur when a driver opens their car door as a cyclist is riding by. On small urban streets where cars are parallel parked and bike lanes run next to the parallel parking spots, it’s easy for an unsuspecting cyclist to slam into a quick opening door. Nationally, “dooring” accidents account for less than two percent of all bicycle accidents. However, these types of accidents are far more common in urban cities like Glendale, Los Angeles, and San Francisco. Collisions riding against traffic: Riders may feel safer riding against traffic, because they can see oncoming traffic. On the contrary, riding against traffic accounts for close to a quarter of all bicycle accidents that occur in traffic. Collisions that occur against traffic also make up a significant percentage of severe injuries and fatalities when a cyclist collides head on with a 4,000 pound vehicle. Exiting a private drive: As a suburb of Los Angeles, Glendale has a number of residential zones. Collisions commonly occur as cyclists or cars exit private alleys, side streets, sidewalks, or driveways. When one party fails to look before exiting, the resulting accident can result in serious injuries. Driver overtaking a cyclist: It’s not uncommon for cyclists to be hit from behind while legally occupying a roadway. Cyclists are often overtaken at night when visibility is low. Drivers who fail to see a cyclist aren’t always able to stop in time. 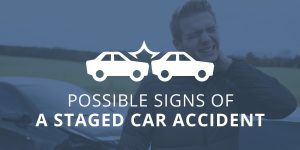 Sideswipe accidents: Sideswipe accidents occur when the side of a vehicle comes into contact with the side of a cyclist. Drivers will often complain that cyclists bike too far left in the bike lane, but biking towards the far right of a bike lane increases the risk of being doored. With interests in green transportation growing, it’s important for all of us to maintain safer driving habits and roads. As bicycle ridership grows, a greater emphasis will need to be placed on bike safety and proper road etiquette. Injuries can be permanently life altering and the risk of fatal injury is much higher for cyclists than motorists. An accident can be an overwhelming experience. It’s easy to get lost in shock, pain, and fear when such a catastrophic event occurs. Nevertheless, handling the unexpected becomes a lot easier with a breakdown of simple steps to take. There is no such thing as too much evidence in a personal injury case. If you’re physically able to document the crash after the accident, you should do so. Make sure you gather information on all of the drivers involved in the accident. Take pictures of any damage to your property or any injuries you’ve sustained. Take pictures of your surroundings, noting street signs, road signs, and any road hazards (if a hazard was partially responsible for the accident). If any bystanders witnessed the accident, you should collect their information and statements as well. Your health is the number one priority after an accident. It’s important to seek medical attention, even if you don’t feel much pain. 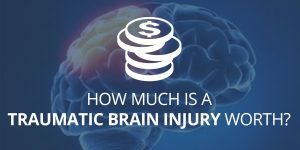 Certain symptoms and injuries may not manifest themselves until hours after the accident. The rush of adrenaline from the sudden nature of a crash can mask pain. If you don’t require urgent medical assistance, you should call the police to the scene. A police report will provide important evidence for your accident claim. It’s to your benefit to receive legal advice after an accident. Most accident attorneys offer a free initial consultation and case review. Failing to understand your legal options could result in you accidentally reducing or losing your claim. Even if you don’t end up hiring an attorney, the insights you could receive from the free consultation are incredibly beneficial. It’s important to understand that insurance adjusters are not your friend. Insurance companies are for-profit businesses that will do everything in their power to reduce their expenses and support their bottom line. Some insurance companies even resort to using unfair and deceitful tactics to reduce or deny your accident claim. The burden of proof should not be yours to bear alone. Your attorney will advocate on your behalf and take your case to trial if necessary. The role of an attorney after an accident is invaluable. Interested in obtaining legal guidance for your bicycle accident claim? Schedule a free case evaluation today by calling (888) 243-2050 or filling out an online contact form.